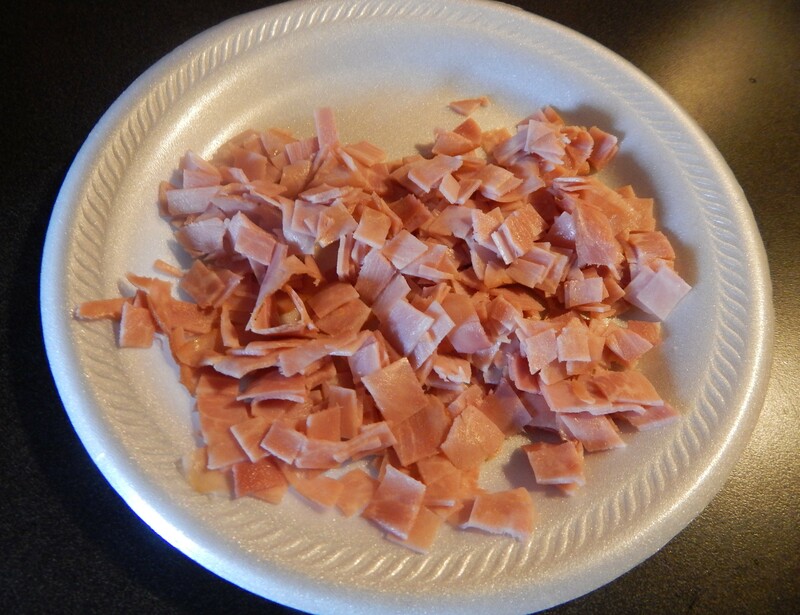 1) Cut the thin slices of ham. I cut mine into thin horizontal strips and then down diagonally, making little thin cubes. 2) Set a baking tray with Aluminum foil. Put the (Split in halves) Bagels on the tray. 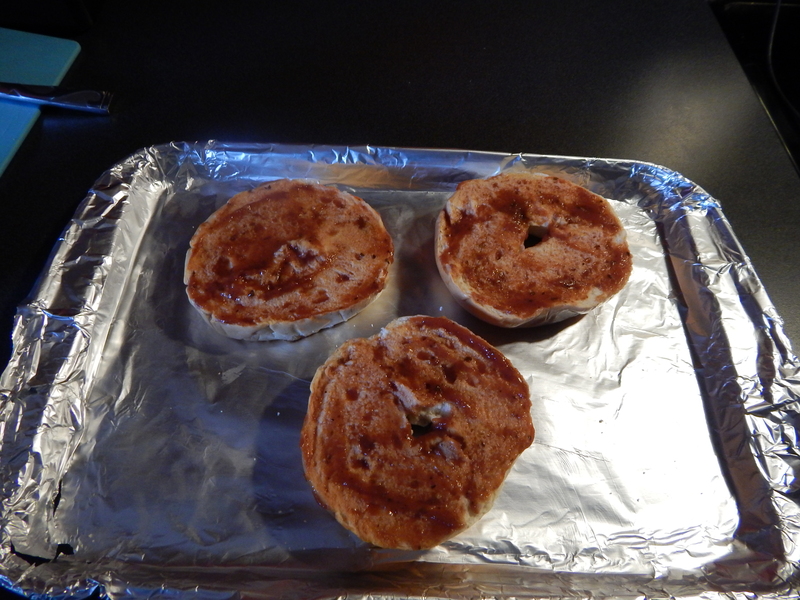 Put 1 Tablespoon of pizza sauce on each bagel half and spread it around evenly with a butter knife. 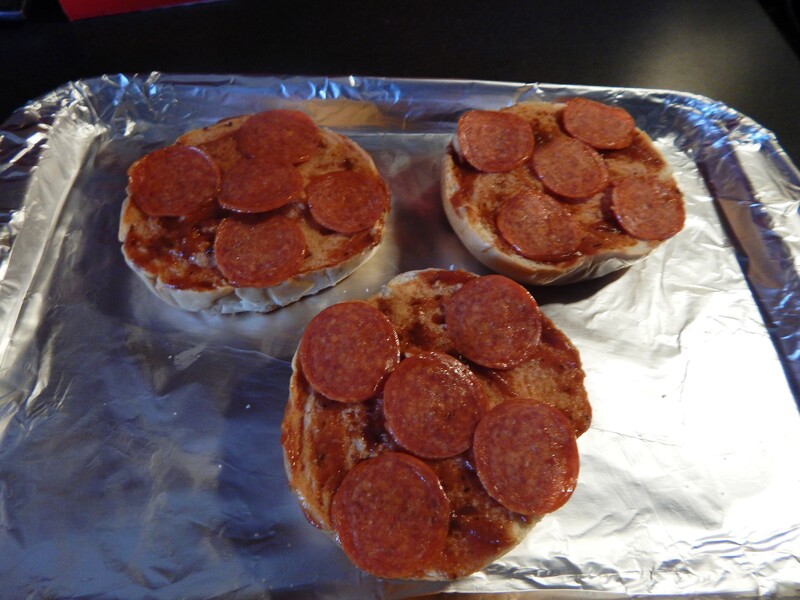 3) Put 5 pepperoni pieces on each bagel, and cover the hole of the bagel. 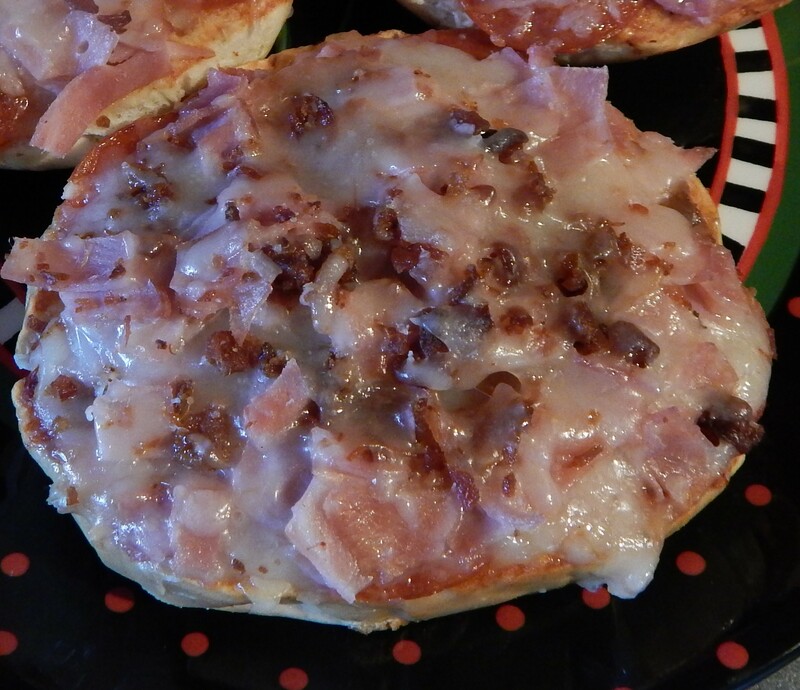 Then put a little bit of the ham, not all of it, on each bagel half. 4) Put some cheese on the bagel. Then put the rest of the toppings evenly on top on the bagel. Right after the cheese, I did the rest of the ham first, then the bacon bits on the top. 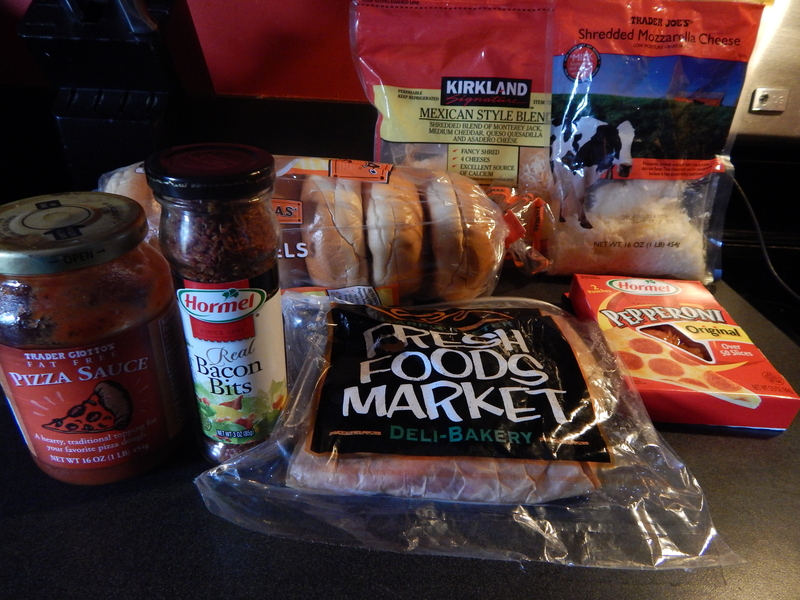 Note: These are the toppings that I had on hand that particular morning. But you can get creative with it and use whatever toppings you like or have. 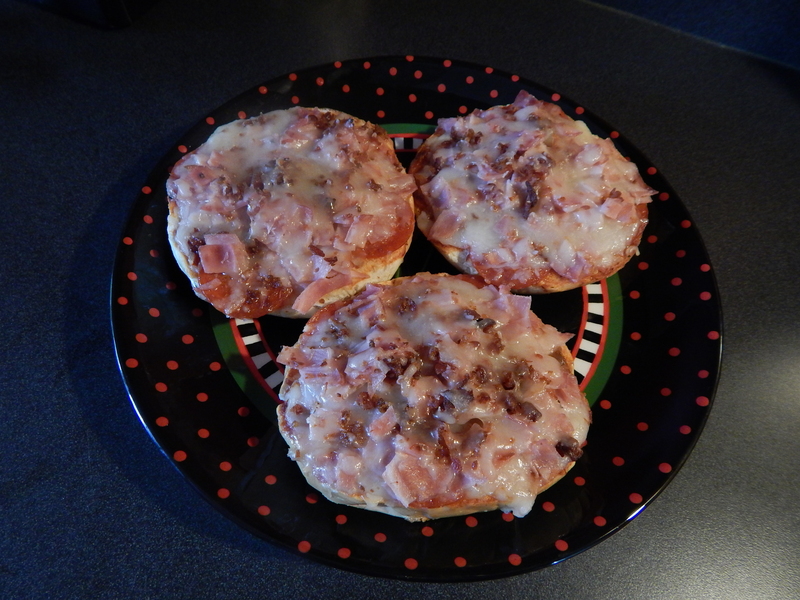 I am sure these would taste good with a variety of different toppings, Or just cheese!